Bon Amis will be directed towards the Takeover Target Stakes after winning at Rosehill. Bon Amis has been without his regular work rider and didn’t have a jockey until race morning but his latest Rosehill win indicates not much fazes him. 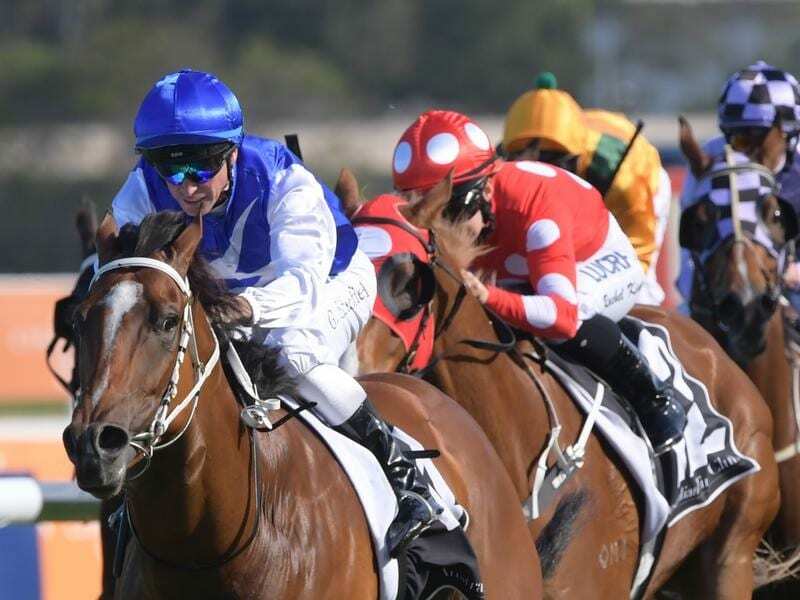 Punters also dismissed the lack of a declared rider for the Jason Deamer-trained sprinter who has been favourite for most of the week and started at $4.40 in Saturday’s ATC Members Sprint (1100m) at Rosehill. Deamer opted to wait until race day and snared experienced rider Glyn Schofield for the best horse in his stable who has had former jockey, Kris Lees’ foreman Cameren Swan, as his morning work rider. “I got jumped on by a horse, not Bon Amis, and broke my foot,” Deamer said. “I’m used to riding my own horses so it’s a bit different but Cameren has been riding work for me and my staff have been great. “When Rory couldn’t ride Bon Amis, I decided to wait and got Glyn. “He’s got speed and with the tempo on, it really suited him,” Schofield said. “I think a race like the Takeover Target Stakes at Gosford in January could suit,” Deamer said. “We might find another similar race to today beforehand. Deamer prepared Bon Amis for last year’s Provincial Championship over 1400m in which he finished a creditable fifth behind Serene Miss.